Freedom fighter, politician and a veteran of Subhas Chandra Bose's Azad Hind Fauj (Indian National Army), Captain Abbas Ali, died of cardiac arrest at Jawaharlal Nehru Medical College here on Saturday. He was 95. Ali, who is survived by his son, Qurban Ali, a journalist, and two daughters, was laid to rest at Qila Road graveyard, his family members said. 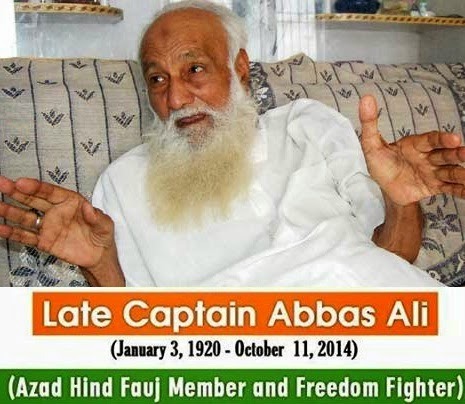 Captain Abbas Ali (3 January 1920 – 11 October 2014) was an Indian freedom fighter and politician who was a captain in the Indian National Army led by Subhas Chandra Bose. An alumnus of Aligarh Muslim University (AMU), Ali had joined the British Indian Army in 1939, shortly before the outbreak of World War II. In 1945, when Subhash Chandra Bose raised the banner of armed revolt, Abbas left the British army and joined the INA. Shortly thereafter, he was arrested, court marshaled and sentenced to death. 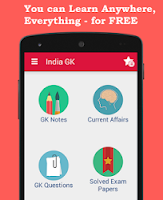 When India gained independence, he was released from prison before the death sentence was meted out. Later he joined the Socialist movement and was a close associate of Ram Manohar Lohia.